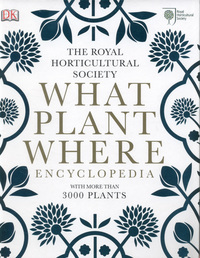 The Royal Horticultural Society What Plant Where Encyclopedia has 400 colour pages to help find a plant suitable for any spot or purpose. There are sections examining plants that are slug or rabbit proof, plants for allergy sufferers or sandy soils, plants for places with too little or too much shade. Includes food plants. This entry was posted in Book Reviews, Books and tagged Book Reviews, Gardening. Bookmark the permalink.